The Kremlin propaganda agents are noticeably intensifying their effort to drive a wedge between Lithuania and Poland. Below, Tomas Janeliūnas, a professor at the Vilnius University Institute of International Relations and Political Science, describes the main tools of informational pressure Russia uses to this goal and the reasons for these manipulations. According to Tomas Janeliūnas, the attempts to divide the neighboring states usually escalate their historical conflicts and problems of ethnic minorities. “One can notice in the Russian propaganda a line of discourse that presents Lithuanian-Polish relations in a very bad light. There are attempts to present societal groups in both countries as perpetually in conflict, especially by escalating historical conflicts such as the clashes between Lithuania and Poland during the interwar. The propaganda machine also presents the Lithuanian participation in the Polish-Lithuanian Commonwealth as a certain subjugation, and not a union. Further, disinformation campaigns about the supposed mistreatment of the Polish ethnic minorities in Lithuania foment conflict between the Polish and Lithuanian ethnic groups within Lithuania,” claims T. Janeliūnas. The international relations scholar also notes that Russia often strives to discredit or denigrate NATO. “The Kremlin propaganda agents promote the topic of NATO in two directions. In Russia, a scare tactic is used, centered on narratives that NATO soldiers are closing in on Russia, that NATO is pursuing an arms build-up, or, even, that Russia needs to prepare for a possible war with NATO. However, the propaganda campaigns aimed at Lithuania claim that NATO is a weak organization that brings no benefit to Lithuania, that NATO allies would be unwilling to help Lithuania in time of conflict, or that defense expenditure is an unnecessary financial burden. Additionally, there are efforts to spread false information about the NATO soldiers deployed in Lithuania. Recently, a false story a NATO vehicle killing a child was circulated in the media, together with fabricated photos to illustrate it,” explains T. Janeliūnas. According to the professor, the current Russian government benefits from dividing Lithuania and Poland because this weakens cooperation between the two neighbors. “Poland is one of the most important partners for Lithuania in terms of security, defense, economics, energy politics, and other dimensions. The welfare and security of either state is assured only by mutual understanding and cooperation within NATO, the EU, as well as through bilateral ties. The Kremlin, however, has no interest in strong Lithuanian-Polish cooperation, especially within NATO, as that weakens Moscow’s influence in Europe,” notes T. Janeliūnas. Lithuania supports the Polish effort to build a permanent US military base in their country. A greater US military presence in the region, it is thought, would enhance its safety. Both states cooperate to ensure that NATO troops could reach the region faster, to strengthen the defense of the Suwałki corridor, and to create a regional air defense system. Lithuania and Poland, together with British and American soldiers, regularly holds joint exercises in the Suwałki corridor – a 100 km-wide borderland between Lithuania and Poland that borders the Kaliningrad oblast in the West and Belarus in the East. It is thought that, if a war broke out and the corridor was occupied, NATO troops would have no land access to the Baltic states. Thus, the Lithuanian-Polish cooperation in strengthening the defense of this region is incredibly important. One of the most important accomplishments of bilateral cooperation between Lithuania and Poland is “LitPol Link” – a interstate energy link connecting the two neighbors. With this interconnection, Lithuania seeks to join the continental Europe’s energy market. Today, the Baltic states operate in the so-called BRELL circuit of the post-soviet energy system and, as such, are dependent on Russian energy networks. Thus, “LitPol Link” allows to decrease energy dependence on Russia. Lithuania and Poland are also beginning to implement the GIPL project, which will be the first gas interconnection between the two countries. When this project is finished, the Baltic states’ gas infrastructure will no longer be isolated from the rest of Europe and will not be dependent on Russia. This project will also become a counterbalance to the “Nord Stream 2” pipeline, which Russia is building to preserve its influence in the European energy market. Poland is also an important partner to Lithuania in its effort to raise political awareness of the dangers associated with the Belarussian Ostrovets nuclear power plant, currently under construction. 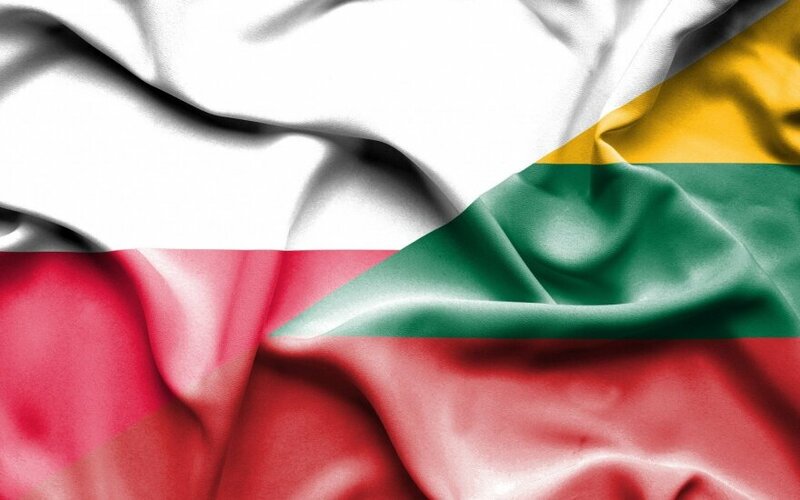 Poland, in solidarity with Lithuania, has announced that it would not buy Belarusian energy. Such Polish support is important in the broader effort to stop the Russian corporation’s “Rosatom” construction of a nuclear power plant situated only 50 km from Vilnius.